I mentioned the other day I was leaving this year’s roundup of my best books until the last minute because The Weekend Australian wasn’t running its selections until today, and I didn’t want to preempt what I’d written for them. That piece is now available, as are the selections I contributed to the lists compiled by The Sydney Morning Herald and The Age and Faber’s excellent Thought Fox, and I really do recommend you take the time to check them out: there are fascinating selections from people such as J.M. Coetzee, Delia Falconer and Richard T. Kelly. My lists are possibly a bit truncated because six weeks of my year was devoted to reading all 5000 pages of George R.R. Martin’s A Song of Ice and Fire, a task that not only never felt onerous (except perhaps during the endless sequences in the East in A Feast for Crows) but left me howling with rage that the next part, Winds of Winter, isn’t due until 2014 at the very earliest (and let me just say that if ol’ George dies before he finishes the final book I will personally dig him up and kill him again). I want to write something more substantial about the series at some point; for the moment I’d just say that I think they’re a pretty remarkable achievement. Martin gets praised for the skill with which he controls his incredibly complex narrative, and for the richness of his characters, but in a way I think the real achievement of the books is their capacity to make you admire characters you may not particularly like (the obvious example is Stannis, but the transformation of Jaime into a sympathetic and even admirable character is one of the real achievements of the series, as is the manner in which the reader comes to sympathise with Cersei by the end of A Feast for Crows). It’s a quality that’s made even more effective by the skill with which Martin frustrates the reader’s narrative expectations, changing the rules by killing characters you assume can’t die and demonstrating the way the actions of minor characters can throw even the best-made plans into chaos (in a way the series is really about the sheer unpredictability of political and military outcomes). I’m not sure how much crossover there is between Martin’s readership and Hilary Mantel’s, but there are more than a few similarities between A Song of Ice and Fire and Mantel’s Wolf Hall and Bring Up The Bodies. Both share a fascination with the exercise of power, and with the complex and often subtle ways in which characters overreach. And while Mantel’s vision is darker than Martin’s (as books like Beyond Black demonstrate, she’s long had a fascination with cruelty and evil, in particular female cruelty and cupidity) there are enough resonances to make me wish that even half the people who’d read Martin would read Wolf Hall and Bring Up The Bodies and vice versa. I don’t think there’s any question Bring Up The Bodies deserved to win the Booker: electrically written, superbly assured, coolly subversive in a whole series of ways, it is, quite simply, a brilliant book. And I think the Booker judges this year did a good job of producing a shortlist that suggested they actually had some kind of project in mind and knew what they were looking for. 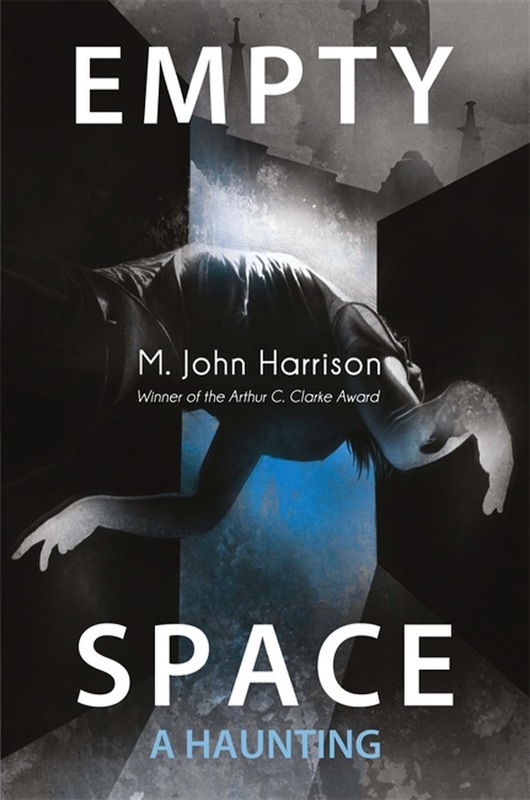 But I also think it’s a pity the award’s definition of quality remains so incredibly narrow, not least because if it didn’t there would already be one standout contender for next year’s award, and that’s M. John Harrison’s terrifying Empty Space, a book that walks you to the edge of the void and forces you to look out into it until it begins to look back at you. On the other side of the Atlantic I was hugely impressed by A.M. Homes’ May We Be Forgiven. It’s uneven and occasionally sentimental (although I suspect the sentimentality is part of the point) but it’s also ferocious and funny and quite brilliant (I’m also reviewing it so I don’t want to say too much before the review runs). Aside from a few notable misfires, in particular the new ones from Michael Chabon, Ian McEwan and Richard Ford (a novel whose overwritten prose and deadening narrative structure seems to embody all the anxieties of the contemporary literary novel in one (very long) volume), it was a fantastic year for fiction of all kinds. I loved Lauren Groff’s vision of a failing utopia, Arcadia, Colson Whitehead’s Zone One (a book filled with images such as the tide of zombies moving like a river through the streets that continue to haunt me, even a year after I finished it) and John Green’s slightly slick but incredibly moving story of two teenagers with terminal cancer, The Fault In Our Stars. I also very much enjoyed Patrick Flanery’s imaginary exploration of the lingering effects of trauma, Absolution, Adam Johnson’s North Korean political satire, The Orphan Master’s Son and James Meek’s The Heart Broke In. On the Australian front I’ve read a lot less than I should, but I loved Margo Lanagan’s selkie novel, Sea Hearts (or The Brides of RollRock Island as it’s known in the UK) and Chris Flynn’s effortless and energetic debut, A Tiger in Eden. I also read a lot (and I mean a lot) of short fiction, a lot of which was extraordinarily good. The four real highlights were Kij Johnson’s stunning At the mouth of the river of the bees (if you haven’t read its World Fantasy Award-winning opener, ‘26 Monkeys, Also The Abyss’, I suggest you do so immediately), Elizabeth Hand’s Errantry (the opening story of which, ‘The Maiden Flight of McCauley’s Bellerophon‘ is available on Hand’s website), Karin Tidbeck’s strange and quite brilliant Jagannath and Alice Munro’s new collection, Dear Life (the remarkable ‘Gravel’, a story that seems to be one kind of story until, quite suddenly, you realise it’s a quite different kind is a textbook example of Munro’s talent for misdirection). I also loved Junot Diaz’s This Is How You Lose Her, a book of stories sustained by an internal architecture that only reveals itself in the final pages. Two other books I loved but which seem to me to elide the usual definitions of novel or short story collection are Keith Ridgway’s Hawthorn and Child and Alan Garner’s Boneland. Hawthorn and Child isn’t quite a novel in stories, and lacks the unifying architecture of a collection like Diaz’s, but nor is it simply a series of interconnected stories. Either way it’s terrific: tautly written, funny and whip smart both politically and personally. Likewise, Boneland, the final part of the trilogy Garner began 40 years ago with The Weirdstone of Brisingamen and The Moon of Gomrath, is only a novel in a nominal sense, often seeming more like a journey into the disturbed psyche of its author and the landscape that has inspired so much of his work, but it’s no less powerful for it. If there was one book of non-fiction I wish was on the Christmas reading lists of politicians around the world it would be Callum Roberts’ account of the crisis confronting our oceans, Ocean of Life: although a lot of the material in it will be familiar to anybody with an interest in the subject seeing it laid out in detail in on place is deeply, deeply confronting. Elsewhere on the non-fiction front I very much enjoyed D.T. Max’s biography of David Foster Wallace, Every Love Story Is A Ghost Story, which provided an interestingly unconventional and mercifully unhagiographic account of a troubled life (and the title of which, interestingly, seems to have been inspired by a line of Christina Stead’s), Robert MacFarlane’s stunningly written The Old Ways and Sean Howe’s smart and superbly entertaining Marvel Comics: The Untold Story. Locally I loved Jane Gleeson-White’s Double Entry (despite the title it’s about accounting, and despite that it’s fascinating and provocative about the significance of accounting) and Geordie Williamson’s passionate tour through the backblocks of Australian literature, The Burning Library. On which note I might stop. I had been planning to pull together a list of my favourite music over the past twelve months, something I now suspect won’t happen, so in lieu of a post I’ve pasted in three songs I’ve been playing to death in recent weeks: Nada Surf’s impossibly joyous ‘Jules and Jim’, Band of Horses’ ‘Slow Cruel Hands of Time’ and The Lumineers’ ‘Ho Hey’. And I’d love to hear from all of you about the books you enjoyed this year. As usual I didn’t read a lot of books published this year – I seem to be perpetually behind the times, as evidenced by the fact that I only recently got around to Wolf Hall (which I loved) – but of the new or newish books I read my favourites were: Hawthorn & Child, Lazarus is Dead by Richard Beard, This Is How You Lose Her, and Sightlines by Kathleen Jamie. There were also two books – Gerald Murnane’s A History of Books and Laurent Binet’s HhHH – that respectively bored me half to death and shat me half to tears, but which have nevertheless lodged somewhere deep inside my brain. Both books are idiosyncratic, occasionally thrilling, but off-putting too, in different ways. I think I learned a lot from both – I just have to figure out what. Other than that, and amongst many other things, I read most of Joan Didion’s non-fiction (up to and including Miami); discovered Magnus Mills, Eliot Weinberger, Pete Dexter, Andrzej Stasiuk and Sven Lindqvist; and finally read all of Paul Fussell’s The Great War and Modern Memory, which really is amazing. It opens up a whole world. Thanks for your blogging, reviewing and tweeting throughout year, James. Hope you have a great Christmas and New Year. A great round up with a wonderful selection of books. Thank you and Merry Christmas! Thanks for the Australian article James – Zone One sounds especially interesting and I will read it. I’ve just finished Bradman’s War by Malcolm Knox which was fabulous – avoids hagiography to provide what appears to be a balanced portrait of Bradman. I wanted to wish you a happy Christmas/New Year break as well James. Looking forward to that new novel in 2013 – and to getting a chance to meet you at a book signing in Melbourne, I hope! Gordon. Thanks for your list, James. Many of those books are on my pile. My personal favourite was Emily Perkins the Forrests; her writing is startling. I went and read Novel About My Wife after that, which has a completely different tone, much more tense, but is also brilliant. I also loved reading The Fortunes of Richard Mahony by Henry Handel Richardson, released in the Text Classics series. I remember you saying that you like it too. I remember thinking while reading it that this is what a novel *is*. You spend so much time with Richard and Mary, and they are so complete, that they become three-dimensional. I felt for Richard, then I was annoyed at him, then I felt for him again. I truly didn’t know what he would do next, and began to fret like Mary over what the action (and consequences) would be. At the same time I related to his restlessness. Anyway, sad that Stephen didn’t ask me to contribute to the Oz round-up this year! He has the last couple. Oh well, maybe next time. I haven’t pitched any reviews to the papers for a while because I keep getting asked to write for The Big Issue. That could be why. “And while Mantel’s vision is darker than Martin’s”. Thanks to all of you for the comments and apologies for the slow reply – Christmas, children, complete exhaustion, they all had their part. But I really appreciate the kind words and the suggestions. Tim – I’m always fascinated by what you’re reading (and sorry you don’t get the time to blog so much anymore); interested you liked Kathleen Jamie’s new one – I’ve not read it but she’s a brilliant writer and so resistant to the pieties of most nature writing she never fails to be interesting. I think I had the same reaction to HHhH as you, although in the end I felt like it had made its point by p100 and everything after that was repetition. I’ve not read the Fussell but have wanted to for a while. Angela – I remember how much you liked The Forrests from your review – I bookmarked it then but still haven’t got around to it. Borrowed a copy from the library yesterday though, so it’s moved up the list. Gordon – Malcolm’s a friend, but he’s a great writer. I’m not really a cricket person but I’ve read bits of The Captains and even for somebody with no interest in the subject it’s fascinating. The Bradman book sounds equally interesting (my grandfather met him, oddly enough).